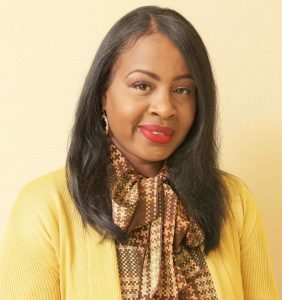 La’Mesa Hunter, MSN, FNP-C is originally from Tyler, Tx, where she began her studies in nursing at Tyler Junior College and obtained her LVN license in 2001, and then received her associates degree in nursing in 2003. She then decided to further her education and earned her bachelor’s degree in nursing from the University of Texas at Tyler. Her strong desire to care for patients on a higher level that included diagnostic and prescriptive authority drove her to pursue a Master’s degree in which she obtained from the University of Texas at Arlington. Mrs. Hunter has over 20 years experience in the medical field with training in medical surgical nursing, telemetry, orthopedics, urology, labor and delivery and postpartum care, clinical documentation specialist, director of staff development, long term and rehabilitative care, in addition to critical care experience. As an advanced practitioner Mrs. Hunter has been trained on the insertion of Nexplanon implants, gastric lap bands for weight loss management, as well as caring for patients across the lifespan. Mrs. Hunter lives in Tyler with her husband Earnest and their son Kylan. The Willow Wellness Center is one of many medical facilities in Tyler offering primary care services and perhaps the only one in a position to boast that the majority of its highly competent and compassionate providers are "homegrown." Copyright 2018 by Willow Wellness Center, P.A., All Rights Reserved.